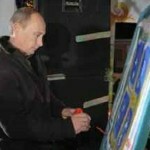 Natalia Kournikova is that very person who owns the only painting of Vladimir Putin. 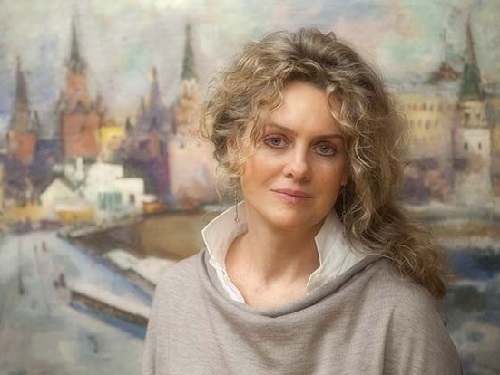 She is a graduate of Moscow State Institute for International Economics, known for one of the best collections of art of the Russian emigration of the twentieth century. 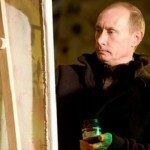 Known also for the gallery “Our artists”, she owns the only painting by Russian President Vladimir Putin “Pattern on frosty window.” In fact, Kournikova purchased it at a charity auction in 2009 for 37 million rubles. 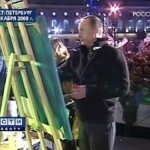 Vladimir Putin first took part in the charity event “Christmas Alphabet”, which traditionally takes place in St. Petersburg during the Christmas holidays. Noteworthy, the money was spent for the medical and child care, and for rebuilding the temple. Meanwhile, Natalia Kournikova has been collecting art from the mid-90s. Her collection are eagerly invited to participate in the exhibitions of the Tretyakov Gallery and the Russian Museum. Thanks to these exposures, to the art scene returned forgotten names – Pavel Chelischev, Nikolai Fechin, Aristarkh Lentulov and many others. Her collection of emigrants combined with paintings of the sixties, include works of such artists as Zverev, Weisberg, Krasnopevtsev, Sveshnikov and Sitnikov. 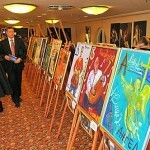 In addition, the auction exhibited canvases painted by famous politicians, artists, sportsmen and the media representatives during the Christmas Fair. 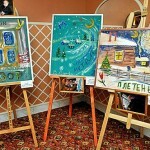 In fact, this charity event was dedicated to the 200th anniversary of the birth of Nikolai Gogol. Then Governor of St. Petersburg Valentina Matvienko took part in a charity event too. 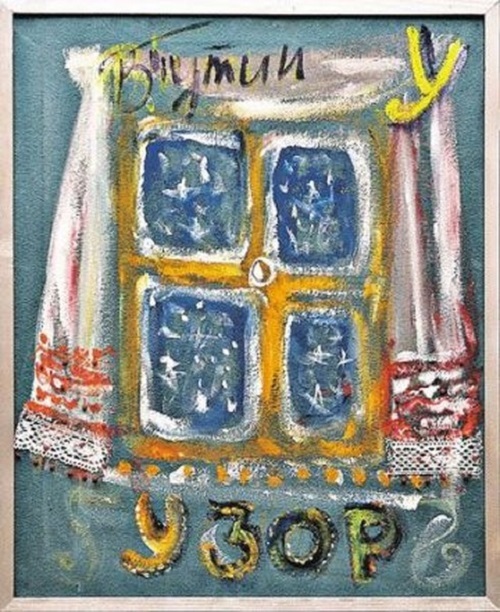 Her painting ‘Snowstorm’, sold for 11.5 million rubles, was acquired by Maria Evnevich on behalf of her father, the chairman of the board of directors of “Maksidom”.